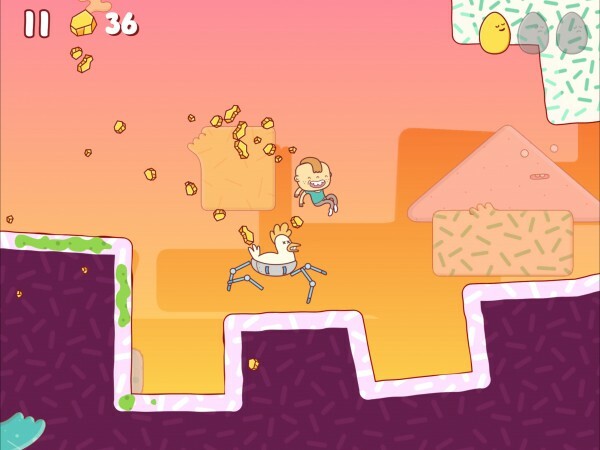 Eggggg - The Platform Puker ($1.99) by Hyper Games is a completely ridiculous and over-the-top auto-running platformer game. 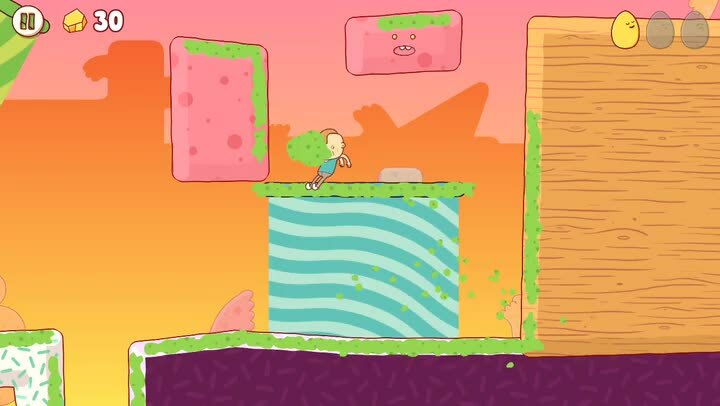 If you aren’t squeamish about puke and don’t mind having that as your main way to get around in a video game, then Eggggg is a game that should be checked out. 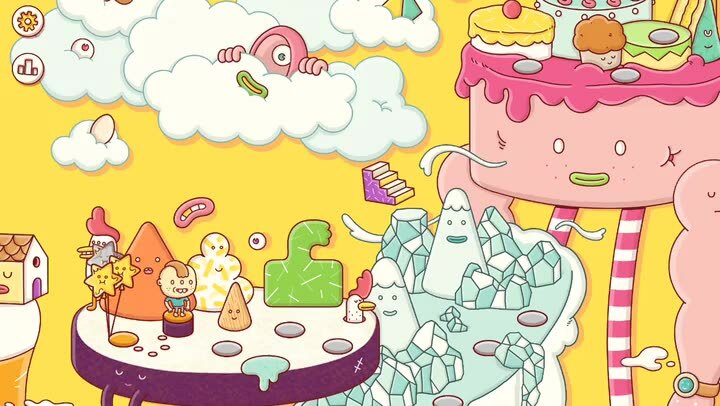 Who knew something about vomit could look so…cute? I think it’s safe to say that no one likes puking — in fact, it’s downright disgusting and it is just never a good feeling. Unfortunately, it’s still a part of life, but thankfully one that we can avoid most of the time. 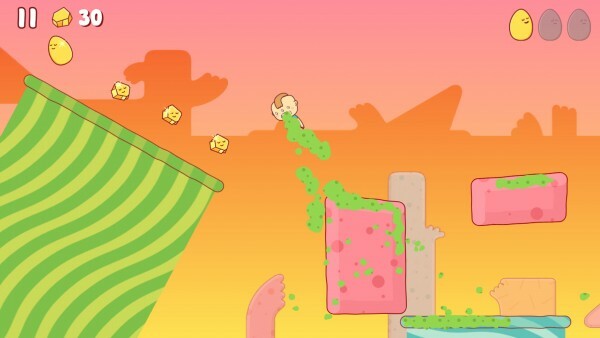 When I first heard of a vomit-induced platforming game, I was a bit disgusted and yet intrigued at the same time. This is because well, vomiting is gross, but I grew up with platformer games, so I tend to gravitate towards them, no matter how disgusting the theme (though maybe a line has to be drawn at some point). After spending some time with Eggggg, I think it’s safe to say that the game’s concept and premise is fun and interesting (albeit repulsive at times), but it is completely ruined by some of the worst controls I’ve ever seen for a title in the platformer genre. Visually, Eggggg is one of the most beautiful games I’ve come across this week. 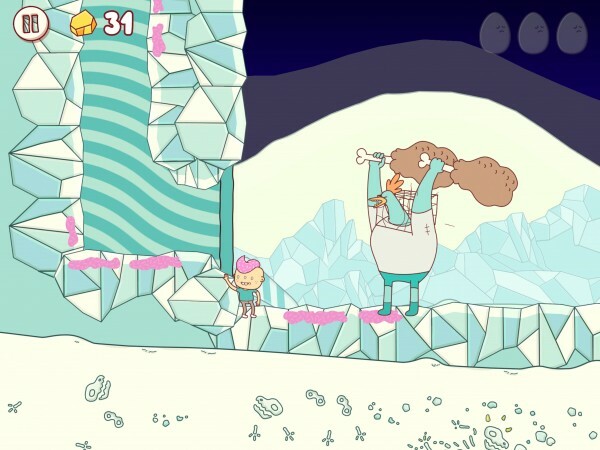 It carries a gorgeous cartoonish art style that reminds me of the old-school Nickelodeon and Saturday morning cartoons that I grew up with. 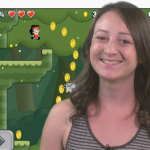 The 2-D graphics are nicely rendered and the world is colorful, vibrant, and filled with adorable or outrageous creatures that are out to get you. In fact, the world is so crazy that it is almost like an acid trip right on your screen, with the random design patterns on various aspects of the environment, as well as faces on almost everything. 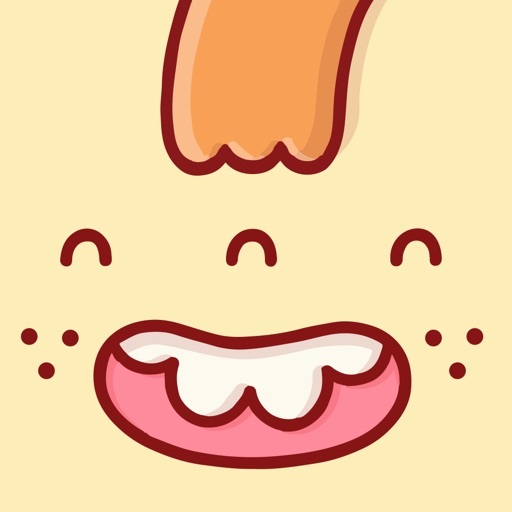 Animations are buttery smooth and fluid, and everything just looks like it is oozing with bubbly personality. 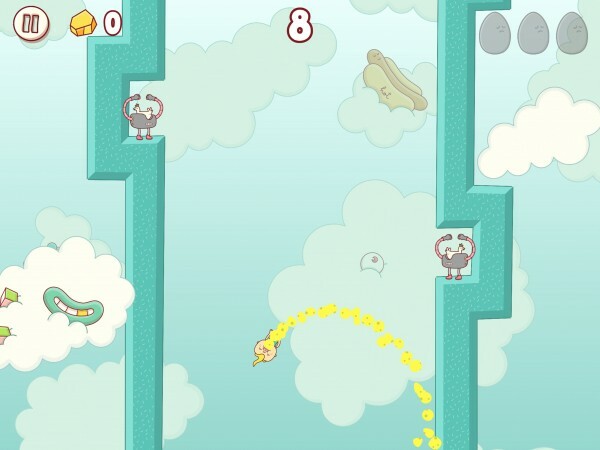 Eggggg has an upbeat and quirky soundtrack that is fun to listen to, and the sound effects you hear throughout the game are rather charming, though vomit itself will never be. Like most platformer games, Eggggg is level-based, with a total of 20 different levels that are spread out across a handful of areas. The goal in each stage is to help Gilbert reach the end point, indicated with the colorful balloons and finish line tape, before he can move on to the next level on his quest to get a birthday party. As you see in the opening cinematic for the game, it’s Gilbert’s birthday but he’s staying with his Aunt Doris, who is pretty much the queen of No Fun Land. In order to reach his ultimate destination, though, he’ll have to use his extreme egg allergy (vomits every time he eats them) superpower to navigate his way through a world of angry, cyborg chickens. The controls in Eggggg are supposed to be tailored for touch screen devices, but I found them to be some of the most unintuitive controls I’ve used for a platformer game. 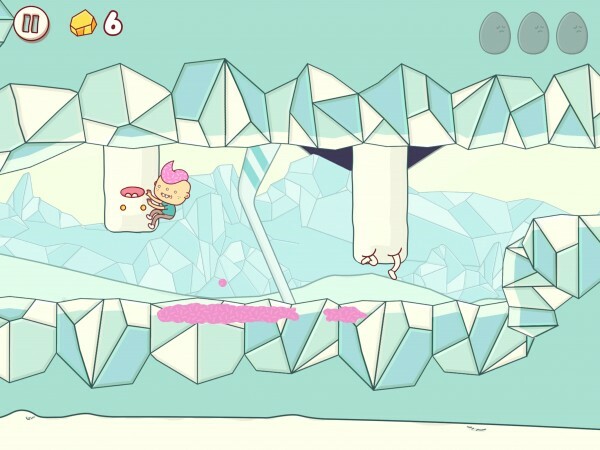 This is also due to the fact that the game has auto-running elements that cannot be toggled off, even though the App Store description mentioned nothing about the game being an auto-running platformer. The developers went with a two-touch control scheme, which means there are two buttons in the bottom left and right corners that you use for both movement and jumping (propel yourself with projectile vomit). I found the controls to be incredibly frustrating to use when combined with the auto-running element, because Gilbert just runs on his own once you nudge him in the direction you want to go. 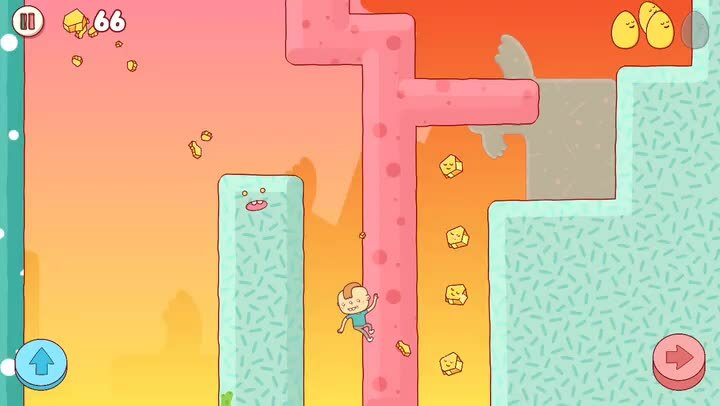 Personally, I’d rather have auto-run off if I were to stick with the two-touch controls, or include a traditional control scheme with directional buttons in the bottom left (or right) and another button on the other side for jumping. Right now, at least for me, the game is not enjoyable because of the bad controls — I end up spending more time trying to figure out how to get them to work properly than solving puzzles (how to get to certain parts of a stage) in the game itself. In the end, even though I was originally somewhat repulsed by the concept of Eggggg, I couldn’t help but check it out because of my love for platformers. But it turned out to be rather disappointing overall, aside from the fantastic graphics and music. I could put up with the wacky vomit superpower, but I can’t stand the controls in their current iteration — they just don’t work out at all for me, and it ends up being more frustrating than it should be. Hopefully the developer adds some options for controls in the future, such as a toggle for auto-run or provide an alternate control scheme. 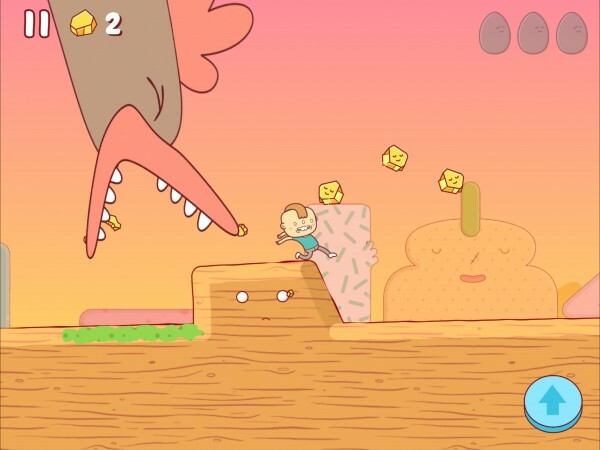 If you aren’t scared off by puke and bad controls and still want to give Eggggg a shot, you can find it on the App Store as a universal download for the iPhone and iPad for $1.99 here. 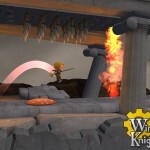 As for me, this one will be sitting on the back-burner until better controls are implemented.